Aveo’s Springfield development will be one of the largest fully integrated seniors villages in the country. Independent and assisted living is co-located with residential aged care, along with therapy and health facilities. The development reflects current thinking around the benefits of integrated care — providing efficiencies in facility management and service delivery, and delivering innovation and flexibility within the design of individual suites and apartments. Deicke Richards has designed three buildings within Aveo’s Springfield development. 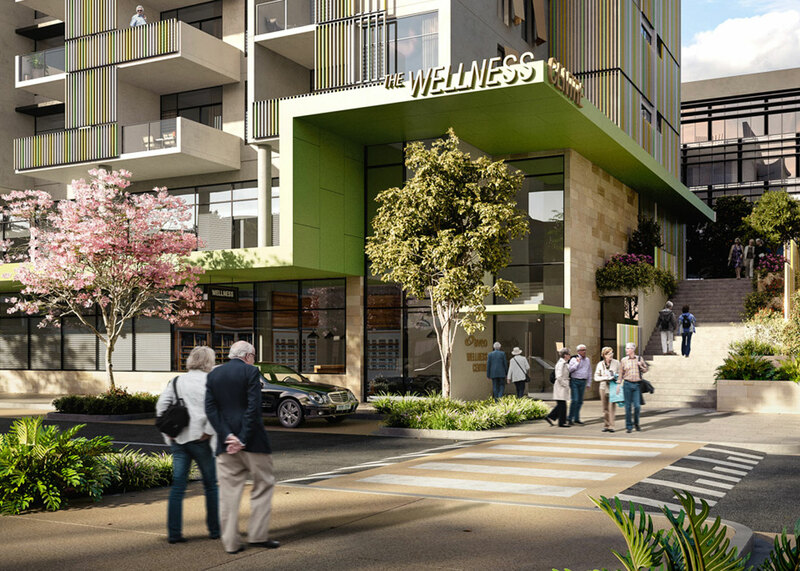 A private aged care building provides one and two bedroom apartments in a mixed-use setting, with a two-level wellness centre and main street retail and commercial space at the ground level. The development is located in Springfield’s 52ha Health City precinct, which is also home to the Mater Private Hospital. Deicke Richards has assisted with master planning for the health precinct with a series of commission over more than 10 years. 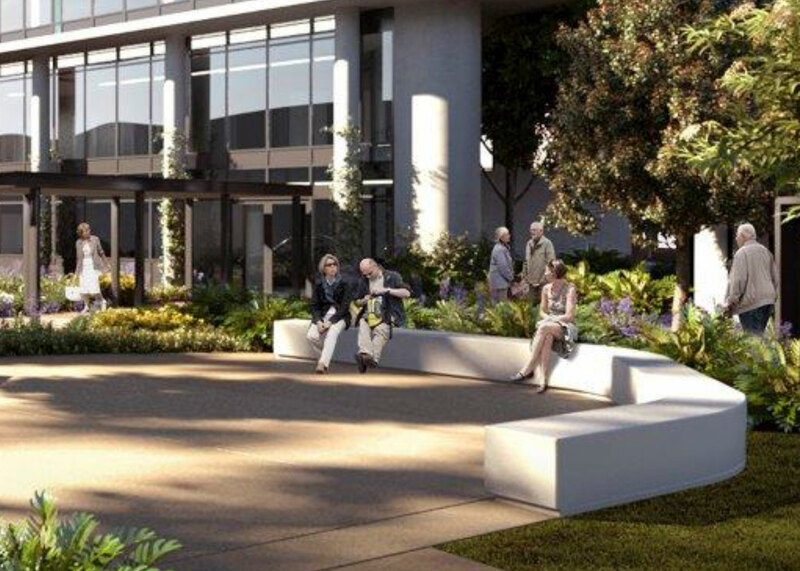 The precinct will provide healthcare, medical education and research, as well as aged care and seniors living.